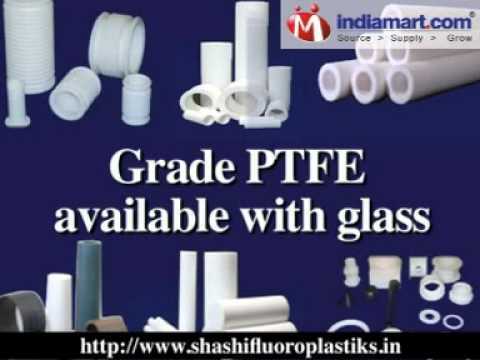 Incepted in 2000, at Mumbai, Maharashtra, India, we, â Shashi Fluoroplastiksâ, are one of the renowned manufacturers, distributors and suppliers of quality range of PTFE machine & moulded products. Our comprehensive array includes Virgin PTFE & filled grade PTFE Product, PTFE Rod, PTFE Round Bar, PTFE Sleeve, PTFE Bush, PTFE Sheet, PTFE Pipe, PTFE Gasket, PTFE Bellow Seals, PTFE Valve Component, PTFE O Ring, PTFE Flexible Tubing, PTFE Thin Wall Tubing and PTFE Hollowbar, Filled, Grade PTFE available with glass, Carbon, Graphited, Bronze, Filler. We procure premium grade raw material and components for production of our comprehensive array. The raw materials and components are procured by us from some renowned vendors, who have excellent tract record in the pertinent business. We have also installed high capacity and cost efficient machines and equipments in our infrastructure to manufacture economical and high performance products of commercial and domestic use. As a quality conscious organization, we strictly implement industry defined quality norms in production and packaging of our entire range. Our quality control measures are implemented through each stage of production process. Quality inspectors employed in our enterprise inspect the entire range through stringent tests to fulfill the overall expectations of the customers. The comprehensive array of our enterprise is used in petrochemical units, Refineries, Thermal Power Plant, Atomic Power Plant, metal processing units, Pharmaceutical Plant & many more.